Are you looking to do something a bit different with your annual leave this year? Why not get off the beach and off the beaten track and join our worthwhile fundraising trek in Nepal. Our charity trek in the Himalayas will be truly memorable and you don’t have to be a mountaineer to do it! 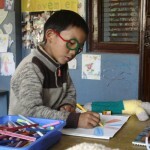 We have teamed up with Art Refuge UK (registered charity 1114353) to offer this fundraising trek opportunity in Nepal. The trek starts with acclimatisation in Kathmandu, before heading off to the Annapurna mountain range for 7 days of walking. Along the route you will visit remote mountain villages where the way of life has remained largely unchanged for centuries. You’ll spend two nights as a house guest with a local family, where you’ll receive a warm welcome and traditional home-cooked food. This is an initiative that has been put together by the Nepali Government, local villages and the trekking industry and provides a great example of responsible tourism at its best. Your trek will end in the lakeside town of Pokhara where you can take time to relax and reminisce with your fellow trekkers. We’ll also take you to visit Art Refuge UK’s new project site to see the work of the charity in action first hand. We’ll take you back to Kathmandu where your trip will end. 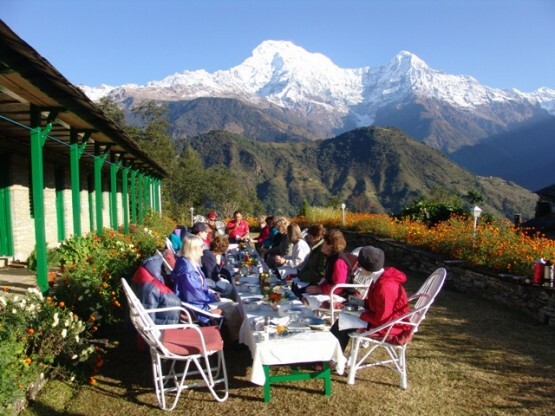 The trek reaches altitudes of 2100m and is suitable for anyone who is reasonably fit with some experience of walking. You will be in good hands. We have been offering treks in Nepal for over 10 years and use expert local guides and porters, with the added back up of our excellent local representative in Kathmandu. • And importantly – a donation of at least £1,385 to Art Refuge UK! Date: Departs UK on 30 October 2014 for 12 days. In early November, the Hindu Tihar festival will be in full swing and the streets will be alive with music, colour and celebrations. This is a great time to visit Nepal! 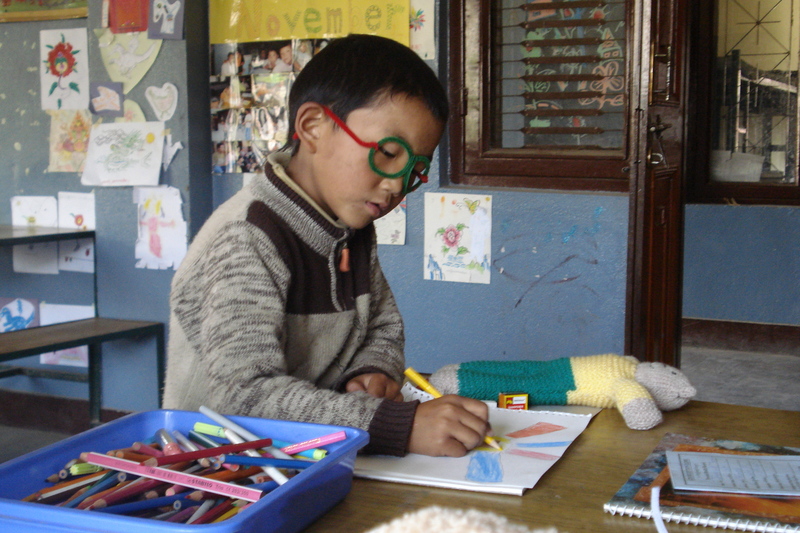 Art Refuge UK supports refugee children and young people from Tibet who have made an arduous and difficult journey across the Himalayas to Nepal and India. The children are often traumatised and need help to deal with the trauma of their journey and adjust to their new surroundings. With the help of the Art Refuge team, they are encouraged to play and express themselves through art. Importantly, too, they can start learning the English language, which will help them integrate into local schools. If you are interested in signing up for this trek for an extremely worthy cause, or know someone who is, contact Jon at Oyster ([email protected]) for more information and to sign up. To secure your place we ask for a registration fee of £300 and give you until August to fundraise for the rest!